Faster file sharing: No longer do you have to remember to send your files via email to everyone on your team. 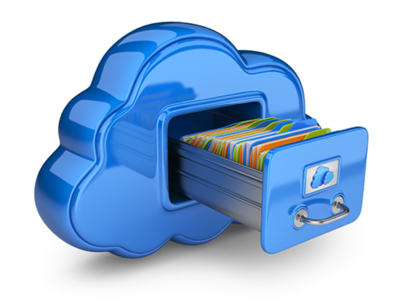 Cloud storage allows you to simply click ‘save’ and the file will be available to everyone in an instant. Access from anywhere: Now you can pull up your files from any computer or mobile phone. No need to bring your laptop or flash drive everywhere you go. Emailing yourself the file is a thing of the past. File protection: Laptop fell in the pool? Stolen? That is a bummer. Hopefully you had insurance. The good news? You are smart and saved all of your files in the cloud. With a couple clicks, your new laptop will have all of your old files restored right where they belong. Collaboration: Cloud storage can be a powerful collaboration tool. A collaboration platform with Google Drive integration, Box integration, or Dropbox integration can make your lives much easier. Collaborate virtually from anywhere. Research project? Save all of your independent research to a folder in the cloud. Virtual project? Collaborate on various steps in the project using a shared folder. Redbooth integrates with all these tools to ease your online collaboration systems. There’s an app for that: All of the major cloud storage service providers have an app for your mobile phone. I just think it is so cool that you can click save on your computer and your file is instantly available on your mobile phone. This feature alone enables increased productivity in a variety of situations. Redbooth’s app allows you to access every file, organized by project, no matter what cloud service you are using – Box, Google, Dropbox integration. Simply go straight to your projects and retrieve your files. What often happens is that different people use different tools. One business unit may use Box, while another only likes Dropbox. Redbooth helps bring all these tools together into one online collaboration platform. We have only seen the tip of the iceberg with what is possible with this technology. Redbooth is all about integration. I suggest integrating cloud storage into your life as soon as possible. If you are a business owner or team leader, look at supercharging your business’s productivity levels by trying out our collaboration platform with cloud integration.